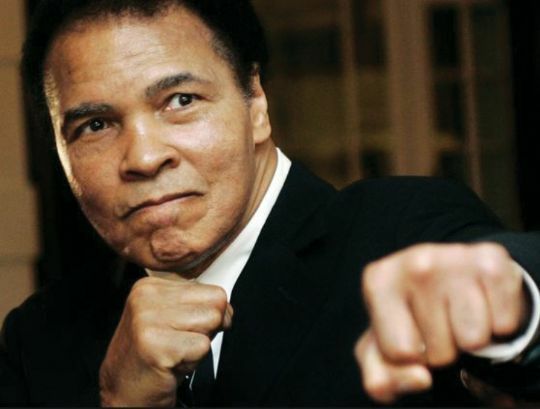 Former two-weight world champion David Haye has launched a petition to grant one of the world's most iconic and recognisable figures, former three-time heavyweight champion of the world, Muhammed Ali, an honorary knighthood. The campaign comes ahead of Ali’s visit to the UK next week where he will officially open ‘I AM THE GREATEST’, an exhibition showcasing his extraordinary life and career at The O2 in London which runs from Friday 4th March until 31 August. Commenting on the petition, David Haye said: “Like millions of others around the world, Muhammad Ali is a hero of mine and the inspiration that made me want to become a boxer. He adds: “Muhammad loves the UK, he first came to prominence here when he fought Henry Cooper nearly 53 years ago and he’s entertained and enthralled us ever since. Honorary Knighthoods recognise non-UK nationals who are special to the UK. Previous recipients include U2 frontman, Bono, the late Terry Wogan, and Hollywood Director, Stephen Spielberg, to name a few. The campaign would see Muhammad Ali become the first sportsman to receive the award.